Queensland stayer Chillin With Dylan, retired last year after repeated tendon issues, will stage an amazing comeback to racing if he can land Thursday's Westlawn Finance Grafton Cup Prelude (2200m). Beaudesert trainer Ben Ahrens has done an excellent job getting his former promising stayer back to the racetrack this year and believes the rising seven-year-old should acquit himself well at his fifth run back and stepping up to the more suitable 2215m of the Grafton race. 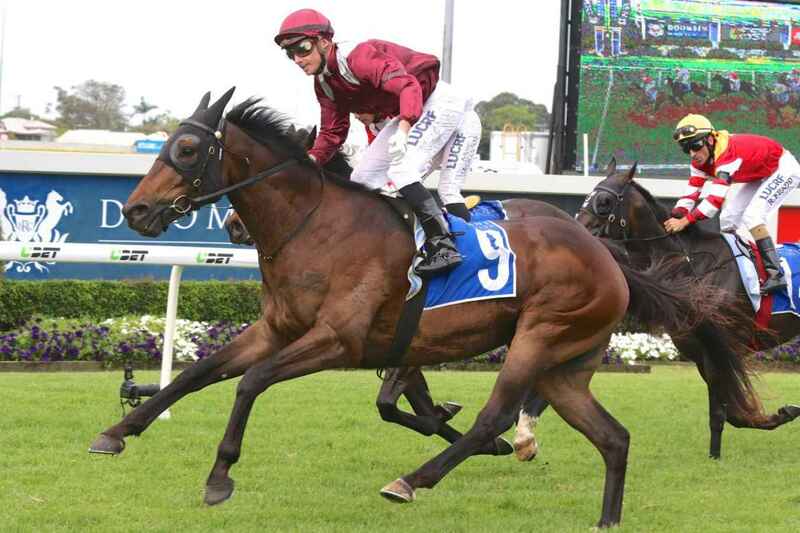 Ahrens always had a high opinion of the Dylan Thomas gelding who ran some terrific races as a three-year-old during the 2015 Brisbane winter carnival. He ran third to Worthy Cause and Upham in the Group 3 Gunsynd Classic (1800m) at the Gold Coast, then ran good races in his next three starts at Doomben - a fourth to Sadlers Lake in the Group 3 Rough Habit Plate (2000m), a close fourth to Upham in the Group 3 Grand Prix Stakes (2020m) and a 3.4 length 10th to Magicool off a horror barrier draw in the Group 1 Queensland Derby (2200m). Chillin With Dylan returned as a four-year-old and was progressing nicely, winning three of his next five starts before disaster struck after his last win over 2200m at Doomben on 28 November 2015. "We were getting him ready to take to Sydney when he bowed a tendon and that was the end of that," said Ahrens. "He was off the scene for more than a year and we brought him back (in Janury 2017) and the near-side tendon flared up again so we retired him after that one comeback run. "But we couldn't really find a suitable home for him and after about eight months I had another look at him. I thought his leg looked okay so I thought I'd give him another try. I just brought him along very slowly and so far he's stood up to racing just fine. There's been no issue with his tendon so far - touch wood - and he's enjoying being back in the stables." Chillin With Dylan finally returned to racing at the Gold Coast on May 5 this year, finishing 10th (beaten 3.8 lengths) behind Divine Unicorn over 1400m. He made steady progress in his next couple of runs and improved at his fourth run back at Toowoomba on June 23 when third to Kincaple Chief and Charles The Third (a subsequent winner) in a Benchmark 75 over 1640m. "All of his four runs have been pretty good actually," said Ahrens. "He obviously is looking for the longer trip now and the Grafton track should really suit him. He's got to carry 60kg on Thursday, but he's earned it. All being well, hopefully we can also have a crack at next week's Grafton Cup as well." Ahrens said the $160,000 Grafton Cup (2350m) on July 12 was always on his radar when Chillin With Dylan kicked off his comeback in May. "I had either the Ipswich Cup, Caloundra Cup or the Grafton Cup in mind for him, but he had a virus after his first couple of runs back which just put us behind the eight-ball as far as the Ipswich and Caloundra Cups were concerned," he said. Chillin With Dylan drew gate two in Thursday's 14-horse field and will be partnered by Brad Stewart. The winner of the Cup Prelude is exempt from the ballot for next week's Grafton Cup. The Prelude field also includes in-form Port Macquarie-trained galloper Art Attack (barrier 14) who has been impressive at his most recent runs at Grafton, posting three wins and two close seconds at his past five starts at the track. Thursday's seven-race meeting also features the John Carlton Cup (1206m) with the winner of that race exempt from the ballot for the $160,000 Ramornie Hcp (1200m) on July 11. Scone trainer Brett Cavanough looks to have a strong hand in the John Carlton Cup with topweight Just A Bullet and Still Undaunted, a last-start winner of the Aberdeen Cup (1280m) at Muswellbrook on June 17. Thursday's meeting kicks off a big week for Clarence River Jockey Club. They race again on Sunday with their South Grafton Cup meeting before next week's huge two days of racing with the Ramornie Handicap meeting on Wednesday (July 11) and the Grafton Cup meeting on Thursday (July 12). Grafton rounds out the week with the Maclean Cup meeting on Sunday 15 July.